When Col. Hill was 35, he had left for England after a successful tenure in the Army in North India. The year was 1914. The war clouds were gathering. He was half way home when he was summoned back to his old regiment in North India. Subsequent postings were also in the North. When after the war he was posted out of his regiment to a regiment in the South he was most disappointed. It was, at that time unusual for officers to be transferred from one Group to another and the transfer was a severe test of Hill’s capacity to command the loyalty and devotion of officers and men who could have had little enthusiasm for a strange commander. In the event he was outstandingly successful and from then till his death 44 years later he identified himself wholeheartedly with the Madras Sappers and they in turn gave him the respect and affection which soldiers accord to commanders in whom they have complete trust and confidence. He was Commandant for the unusually long period of six years. Most of all he fell in love with Bangalore and all his residual intentions of ever returning home were laid to rest. The sportsman that he was Bangalore gave him everything he reveled in - Club life, Racing, Polo and other sports like snipe shooting and hunting. The aristocratic Racing Indian Society had warmed to him and made him Chief Steward of the Race Club year after year. He relinquished his first term as the President of the Club in 1929 as his assignments took him away often. However, wherever his posting took him he would be in Bangalore whenever he could attending the B.U.S. Club meetings as the minutes testify. When he returned as the President on his second term in 1942 he was determined as to the future of the Club though he still had restraints from remnants of British Imperialism. Though their number had dwindled they had Sir H. Colam as their leader. Colam had preceded Brigadier Hill before his second term and had resigned on a matter of principle favouring a cook who had been slapped by the Secretary, when the cook had to leave as the Committee had upheld the Secretary’s action. That was typical of the man, highly principled but firmly on the other side of the fence. The second and tougher task encountered by Brigadier Hill was the Army. The British contingent had by now realized that by allowing sporting men among then to buy and possess the premises of the B.U.S. Club as ‘Association of Persons’, they had permitted creation of an invincible situation. The Army tried hard to impose its will on the Club but the members led by Brigadier Hill fought hard to retain their privilege. Being an avid sports person his adherence to “fair play” went wherever he went. Thus, at the Bangalore Race Club as its Chief Steward year after year. Thus, at the Polo Club now shifted from Domlur to Cambridge Road. Throughout its chequered life he was the savior of this Royal sport. When it lacked premises, he provided it at the B.U.S. Club. When shifted out of Domlur, he mentored it by owning the Polo Grounds at Cambridge Road resisting several requisitions claiming individual rights of Association of Persons! Finally, the City Improvement Trust Board had to pay the then princely sum of Rs.1,74,000/- in 1959 to acquire the Polo grounds from the joint owners. The Club noted its gratitude to Brigadier Hill for the munificence. Needless the say the game died there after. It did not take long for Brigadier Hill to mobilize support for the change to the Bangalore Club thus removing any vestige of doubt as to its severance from the Army. The resolution was moved on 18/10/1946. Brigadier Hill passed away on 7/10/1967 at the age of 88, having retired in 1962 as the President for 20 years - one of the longest cases of ‘Staying On’ in the history of Colonial Clubs in India. He left behind a legacy of discipline combined with leisured living that has remained and will remain the hall mark of the Bangalore Club. He truly was our very own Renaissance Man. He was laid to rest at Kalpally Cemetery. UPTO MAJOR Served with Bengal Sappers, Indian Submarine Mining Unit and Military Works Services between 1903 to 1923. Commanded 1st Field Troop of Bengal Sappers in France during World War-I in 1915, awarded Distinguished Service Order for his services in 1917. After World War-I, returned to Bengal Sappers first as Superintendent of Instruction, later as Superintendent of Park till November 1923. LIEUTENANT COLONEL Joined Madras Sappers for the first time as Commandant from December 1923 to February 1929. An excellent Horseman and contributed much to Polo at the Centre. Appointed Chief Engineer Southern Command in February 1929. BRIGADIER Brigadier General Staff at Simla and Chief Engineer Southern Command. Retired in July 1935. Settled down in India. COLONEL COMMANDANT Conferred Honorary Colonel Commandant of the Madras Sappers in December 1942 till the term expired in November 1949. 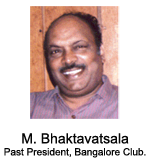 He was a lifetime President of the Bangalore United Services Club (Bangalore Club) and an Annexe and a Suite in the Club are named after him. He expired in the Military Hospital, Bangalore on 7th October 1967. The Library Sub Committee (2009) suggested that consideration be given to the conducting of an Annual Memorial lecture by a person of recognized eminence. The Sub Committee proposed to name such an annual lecture as the “Brigadier Hill Memorial Lecture”. It was also suggested that the speaker must be a person of recognized eminence and a Club member. 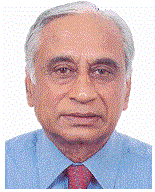 Executive Director, Tata Sons Ltd.
Chairperson & Managing Director of Biocon Ltd.